Discussion in 'Safety and Security' started by spidy, Jan 6, 2019. There seems to be an increase in 'cold call' scammers in Australia and elsewhere. Reports are coming in of offshore syndicates run by Americans, Britons and Canadians targeting people with increasingly sophisticated cold call scams. The scams typically involve 'brokers' spruiking shares in international companies. Unfortunately the 'shares' just do not exist. Losses are being shown as over 100million in Australian dollars with money being transferred to 15 countries. Indications are that Australia has become the number 1 target of cold call investment scams based in The Philippines. There have also been calls from a supposed law firm in Switzerland telling a scam victim that money had been recovered from a bitcoin wallet and saying that under Swiss law there was a 3% recovery fee. Please take care on ANY deals over the internet as they can so easily be scams. The Australian tax office is issuing warnings about tax scams. Scammers are contacting people with threats and aggressive demands pretending to be from the tax office. The ATO will NEVER ask for money over the phone or via the internet. The scammers are demanding money or payment via money transfers or iTunes cards. This is not how the ATO operates. Please be careful with any messages pretending to be from the tax office. If in doubt use your phone book to check and contact the real tax office to confirm any message you receive. Do not fall for these scams, invest in a phone call to verify. This is what a Social Security scam sounds like. FBI Joins International Campaign to Stop Money Mules. A female who worked in early childhood education met a man on an online dating site. He was kind to her and told her he worked for a children’s charity. A few weeks after they began communication, the man asked her to receive some money into her account for his charity. Over the next several weeks, he attempted to wire a total of $250,000 into her account. He then instructed her to wire the money into other bank accounts or obtain cashier’s checks and mail them to individuals at his direction. On another dating website, a man met another man who claimed he was a captain in the U.S. Army, stationed overseas. The “Army captain” told the man he was trying to arrange his travel home to the United States and needed the man’s assistance in receiving some money and sending it elsewhere. The man had $10,000 wired into his account and was instructed to withdraw the money in small chunks and send it to a woman in Texas. A retired advertising executive who was looking to earn some extra money found a “work at home” opportunity online. He was hired and then directed to create a business and open a new bank account for that business. He was then told he’d receive a series of deposits and would be instructed where to send the money. He believed the business was facilitating importing and exporting. Learn more about money mules and help raise awareness by sharing the facts through #DontBeAMule. You received an unsolicited email or contact over social media promising easy money for little to no effort. The “employer” you communicate with uses web-based email (such as Gmail, Yahoo, Hotmail, or Outlook). You are asked to open up a bank account in your own name or in the name of a company you form to receive and transfer money. As an employee, you are asked to receive funds in your bank account and then “process funds” or “transfer funds” via a wire transfer, ACH, mail, or money service business (such as Western Union or MoneyGram). You are allowed to keep a portion of the money you transfer. Your duties have no specific job description. Your online companion, whom you have never met in person, asks you to receive money and, subsequently, forward the funds to an individual you do not know. A legitimate company will not ask you to use your own bank account to transfer their money. Do not accept any job offers that ask you to do this. Be wary when an employer asks you to form a company in order to open up a new bank account. Be wary when job advertisements are poorly written with grammatical errors and spelling mistakes. Be suspicious when the individual you met on a dating website wants to use your bank account for receiving and forwarding money. Perform online searches to check the information from any solicitation emails and contacts. If you have received solicitations of this type, do not respond to them and do not click on any links they contain. Inform your local police or the FBI. If you believe that you are participating in a money mule scheme, stop transferring money immediately and notify your bank, the service you used to conduct the transaction, and law enforcement. According to reports from Sandisk, one third of all memory cards on the market are counterfeit. 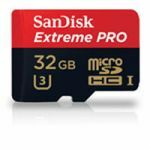 Many buyers of counterfeit products find that branded SanDisk cards are actually re-branded inferior quality cards or cards of smaller capacity. All genuine SanDisk memory cards should have a serial number and a manufacturing country's identity. You can not determine the authenticity of a Sandisk card from an internet stock photo. You can not determine the actual memory capacity of a counterfeit memory card by simply viewing the capacity displayed by your computer, phone or camera. Counterfeiters fraudulently overwrite the cards internal memory with a false capacity which will display a false capacity on your device. Actual memory must be checked with a test program. To check if your Micro SD drive has the capacity and speed stated, "H2testw" is a simple tool that is distributed for free, and offers a very simple, easy-to-use interface. The program can be used by anyone who wants to know how their actual product compares to others, the real capacity and the amount of errors that can be detected on the product. The Secure Digital "SD" standard is maintained by the SD Association (SDA). The Secure Digital format includes four card families; the original Standard-Capacity (SDSC), the High-Capacity (SDHC), the eXtended-Capacity (SDXC), and the SDIO. The cards are available in three form factors; original, mini size, and micro size. It is not unusual to find counterfeit and generic cards with memory substantially below what is printed on the card. If you don't check your purchase, you may lose content or damage your equipment. The Secure Digital High Capacity (SDHC) format is defined in version 2.0 of the SD specification, and supports cards with capacities up to 32 GB. SanDisk offers responsive and excellent support through their online customer service. Women 'victims in 63% of romance scams. Investment scam targets Instagram users. Those tricked lost a collective total of more than £3m, but more is expected to have been stolen as some victims may not have reported their losses. The scam sees schemes advertised via the Instagram app. Those targeted are encouraged to transfer £600 and are promised almost instantaneous profits. Once the money is paid, they are sent images supposedly of profits building up in their accounts. The fraudsters tell their victims to "invest" more, and that the money can be released for a fee, which is why losses can build to thousands of pounds. However, they then they close the Instagram account, stop all contact, and disappear with the money. Investment fraudsters often use professional-looking images and may promise free research reports, special discounts and "secret" stock tips. ZeroFox, a security company specialising in social media, previously told the BBC that it found more than two million public Instagram posts that push these types of scam, known as money-flipping. Inspector Paul Carroll, of Action Fraud, said: "Opportunistic fraudsters are taking advantage of unsuspecting victims who are going about their day-to-day lives on social media." He urged social media users never to send money to strangers only encountered online, to check financial matters with family members, to only deal with financial firms authorised by the regulator - the Financial Conduct Authority - and to report any cases of fraud. Google Chrome has been found vulnerable to a zero-day vulnerability.